I’m getting a Chisel, and much of that decision is in part to this thread, so thank you all. I’m debating Comp vs Expert. I really don’t need the 12 speed 50t where I ride, so the drivetrain doesn’t really bother me ( I like Shimano better anyways). My biggest concern is the fork, is the Reba that much better than the Judy? Aftermarket price wise they are only about $100 difference so the tech can’t be that much better. I can afford either model, but I don’t want to spend more than I have to - but don’t want to spend every ride convincing myself it needs to be upgraded right away. I do have a Syntace P6 Hiflex seatpost lying around that I will be putting on, regardless. A little background; I’m not a racer, just a solid XC rider that appreciates more old school geo and a smooth ride. Is there anything else about the Expert that makes it worth the jump? MTBR: Your dad's online mountain bike forum. I had the same debate in 18, I ended up buying the comp. But ended up buying a Reba for the 300g weight savings. In hindsight I should have bought the frameset or the expert, the only stock parts left is brakes, rear shifter/derailleur and seatpost clamp. Same question for me, Expert or Comp. 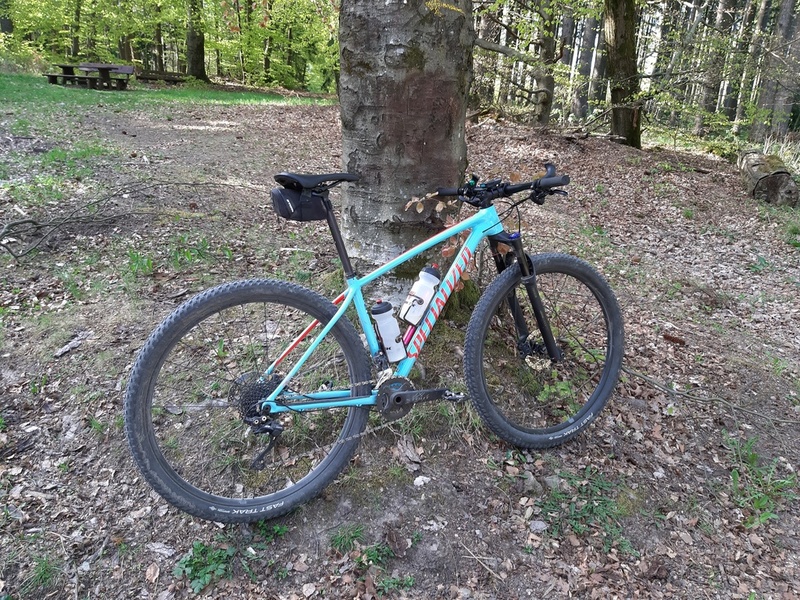 I went with the Comp as I prefer Shimano shifting, as well realized the better fork on the Expert might not matter as I ride terrain that’s pretty much logs and roots with no, or few rocks, and no long downhills. If the fork was taking harder hits I would have gone Expert and learned about SRAM shifting. My first Sram shifting experience was eagle and it's been great. The NX derailleur upper jockey wheel fell out three times but Sram sent a GX the last time and its held fast all last year. SRAM turn around was also 1 business day. I've never ran Sram brakes and I'm still a Shimano guy as my newest bike has the new XTR but eagle works great. There is a surprising amount of weight in an off the floor Chisel so I would go with highest spec you can. 300g difference in the fork is huge. I built mine from a bare frameset with a mid to high tier spec; i.e. aluminum cranks and wheels. On the trail weight of my bike is 5 plus POUNDS lighter than a Chisel Expert I weighed at the LBS. 370km of flat asphaplt commutes, and the Judy on my X1 Chisel has started clunking. Checked the headset bearings, def the fork inners. Dunno if it's just my luck, but I've had issues with new RS forks for the last 6 years..
Reba: The dreaded negative air issue, and silly poploc problems. Got a new by warranty. Negative air issues from beginning. Revelation RCT3: Negative air issue, RCT3 Fubar. Came with no oil in the lowers, and required service after 2 rides. 2017 Yari: came without correct oil and a leaky left leg. Was a new fork from shop. Has performed superbly since first service. Reba: sticky since new, blew gaskets, and was replaced under warranty after 6 months for not being true. Had to make do with wrong offset. Judy 2019: clunckety-clunk before it's even run in. Ordered myself a new wheelset for my Chisel Expert 1x from 2018. SLX discs / SLX cassette. Currently running Sram Centerline discs and Sram NX cassette (11-42) but i wanted to built a lighter set, and the XD body + cassettes are kinda pricey to my taste. So decided to go with Shimano for those components. Delivery time is set to take around 2 weeks. will post some pictures when i get them in. Well, after riding the Chisel Expert and then riding a Fuse Carbon, I went with the Fuse. Both are great bikes, I just already have a 29” at home and the Fuse was just more fun to me. And lately, that’s really all I am looking for. Thanks for all the replies and advice. Loving all the variations of builds in this thread and the reviews have only confirmed my decision. I was immediately drawn the the simplicity of the Chisel when they were first released and have just placed an order for a 2019 comp 1x in large. I am 6'2" and just shy of 190lbs. I measured up right in between L & XL however the large effective top tube was a bit over an inch longer than my current ride. This will be my first 29er and first brand new bike in 18 years. Will try and throw some photos up once I pick it up. Now I would like 2019 chisel expert.. but the price for me a little to high. 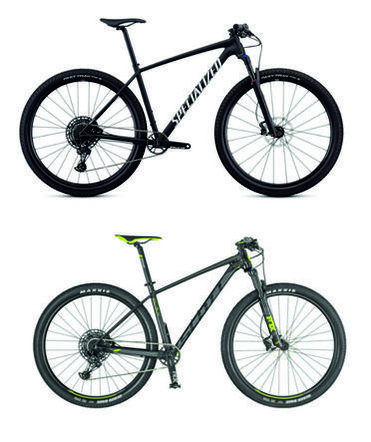 What do you think specialized chisel vs scott scale 950 ? Bike has seen a few more changes. Threw on a carbon Roval wheelset a few months ago, also an S Works carbon seatpost. Lightened things up a bit more. Bike has been rock solid. Our south facing trails dried up enough that I was finally able to ride the Chisel on some dirt single track. 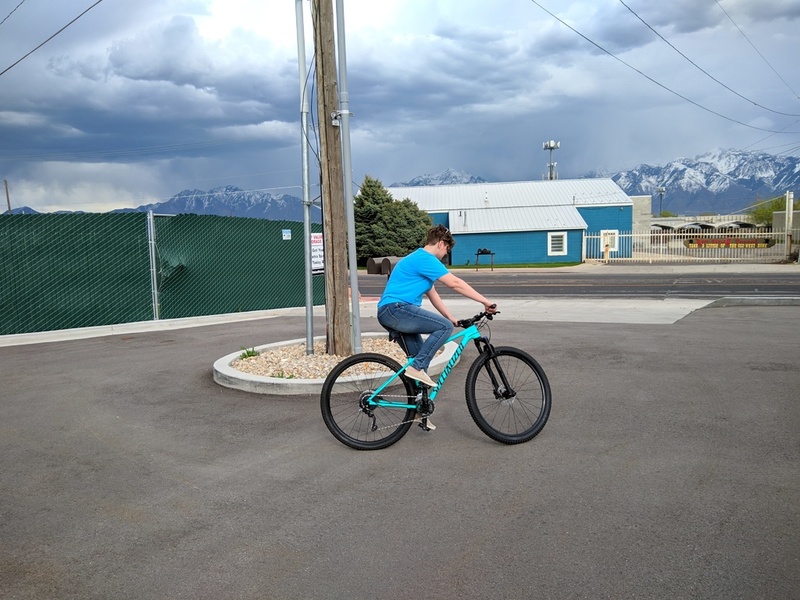 I may just need to get used to the bike some more, but my initial thought was that I need a shorter stem, and perhaps some different tires. Climbing is wonderful, but going down I just felt too far forward. My large Chisel came with an 80mm stem. Not sure whether to go straight to 60mm, or try 70mm first. I'm running 55mm stem with wide bars, and somewhat meaty tires. I love the way it rides. Dang it, now I'm running a coolness deficit for sure. Thanks! My LBS has a 60 mm Specialized Mountain stem in stock for $29 CAD, so I think I'll give that a try. I prefer a short stem with 730mm bars. The 60mm stem should do it. Last edited by j102; 2 Weeks Ago at 03:58 PM. My litmus test of handling came today. 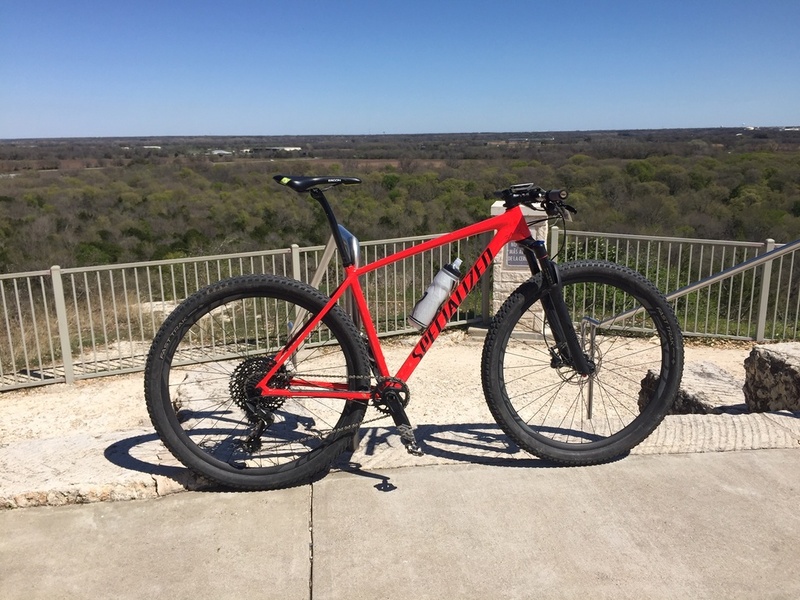 I ride a trail system with a lot of flat'ish and very twisty and tight ST.
All of the prior rides on my Chisel since purchase in late Feb. have been solo. Today I rode with my 3 usual buddies, one of these guys often hammers and has good skills thru the tight stuff, so today was the day I find out if the Chisel can cut it following. I was accelerating and turning better than ever and actually had my buddy stopping to let me pass. So answer is, Yes the Chisel and the 29" wheels can do the ST as well as my 26" Stumpjumper which was my benchmark. Anyone know if the Salsa Firestarter 110 Deluxe Fork or Niner Boost MTB fork will work? The Salsa fork has 51 mm offset and 483 mm axle to crown length. The Niner fork has 51 mm offset and 490 mm axle to crown length. Specialized lists the offset on the Chisel Expert build as 51mm and the "fork length, full" as 506mm. Ideally I'd like to get the Niner fork but am having a hard time finding one so I may have to get the Salsa fork. Will either work on this bike or will it make it feel weird? edit: got this question answered by the LBS. He mentioned that 20% sag of the 100mm travel fork would nearly be the same length as the Salsa fork. Makes perfect sense and I felt silly for not thinking about that. I ordered a Chisel and Firestarter fork and hope to have it built up in 2 weeks. hardly thinking on putting a 120 fork on my chisel. I heard that the frame is flexy, I feel it stiff. I weight 75 kg and when going downhill this fork feels soooo cheap and slow, can't feel the support on the Judy gold, it's my second bike, I got an AM bike. Trying to decide on pike 29 120 or SID RL 120, any problems with warranty on upforking? Any disadvantage of running 120 mm? Just got a message that I'm getting a new fork under warranty on my '19 X1. That's the 3rd RS fork replaced under warranty over the last 4 years. I'm running a 120 SID RL on mine. +20mm is usually ok for warrantee. I don't feel there's any downside, some will notice a little slower steering. Chisel large set up more cross country / race than trail. Enve M5 bar, 760mm width, 5mm rise with a Syntace 75mm stem, 6* rise. Happy with my weight distribution over the bike. I believe this setup is very close to the chisel expert. Great climbing stance but not too far over the front wheel during descents. Had same bar with 90mm flat stem which was great on climbs but a bit sketch downhill. cool. I guess ill get a SID RL in order to not steal any XC feel on the bike. Anyway this isn't the bike I will improve my DH times with, but I need it capable / supportive on technical trails. beatiful! doesn't look rare with 120. which dropper? Lev? Yep. Integra 120 using a GX front grip shifter as the remote. Got my '19 X1 back from my LBS. New Judy fork under warranty, but they also replaced the bottom bracket as it was bust - after 450km! Though these new screw-in bearings were the second coming...personally, I've had no probs with the BB30s on several bikes since 2014. Other mods was a 34t chainring. Clearance to the chainstay is about 1mm - is it not possible to run a 36t on this bike, or have they fitted a ring with wrong offset? I just ordered a Chisel frame and read on here a few pages back that the headset and crown race are included. I also just ordered a Salsa Firestarter Deluxe 110 fork for the frame. Is there anything else I'll need to make this fork work with this frame? Just FYI for anybody else that had the question, Specialized confirmed that US framesets include the headset and crown race in the box. No, it will be a rigid mountain bike. I have seen a Specialized S-Works Diverge with a flat bar though. The lines are getting blurred. I was considering the Diverge but I suspect the Chisel will be easier on me when going 12 hours a day through rougher terrain for a couple weeks. I ordered this frame specifically for the Great Divide Mountain Bike Route but also will use it for day to day riding on smooth singletrack, long gravel days, and bike touring. It would be cool to see it as a gravel build with drop bars but I'm not planning on making that experiment happen soon. I think these frames weigh about the same as the Salsa Cutthroat. From Salsa, "A large Cutthroat frame is about 1500 grams and the Cutthroat fork about 620 grams." The fork I got is 80 grams heavier, has boost spacing, and matching offset. Can you post a pic of the Chisel with the rigid Cutthroat fork? Nice looking build. Which forks are you looking at? 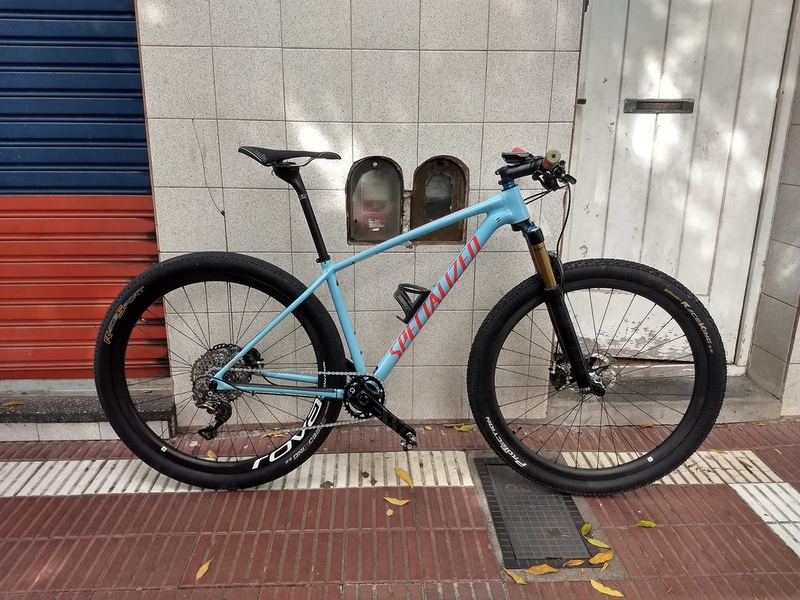 I was split between the Niner Boost RDO MTB fork (490mm axle to crown, 585 grams) and the Salsa Firestarter 110 Deluxe carbon fork (483mm axle to crown, 787 grams). The stock Chisel expert has a 506mm axle to crown length. I settled on the Salsa fork but have some regrets. The availability of the Salsa fork and the "out of stock" status of the Niner fork was a deciding factor. The Niner fork is in stock now and I haven't mounted the Salsa fork yet but decided to stick with the Salsa fork. The light mount, internal dynamo cable routing, and bottle mounts sold me on it. Those extra features won't get used too much but are worth it to me. I'm planning to ride the GDMBR this summer and think the Niner fork is probably a better choice for most people generally and on the GDMBR. It's just that I'm really into the light mount because I've got huge hands and limited space on my handlebars. This is a fairly unique issue as this applies to when I'm using a handlebar harness, Garmin Etrex 20x mounted, inboard bar ends (mini aero bars), and feed bags. The 4 sets of 3-pack bottle cage mounts are meme worthy and have extremely limited application but I'm sure I'll appreciate them on the occasions I use them. They won't be used on the GDMBR. I've got three King Cage Manything cages and a few route scouting trips planned for that. The Niner fork has two mounts for regular water bottle cages, no dynamo cable routing, and no light mount. I haven't weighed it to verify the weight. I weighed the Salsa fork and bolts and separately weighed the bottle cage bolts and they add up to 40 grams of the weight. Included the axle to crown measurements. Worth considering. 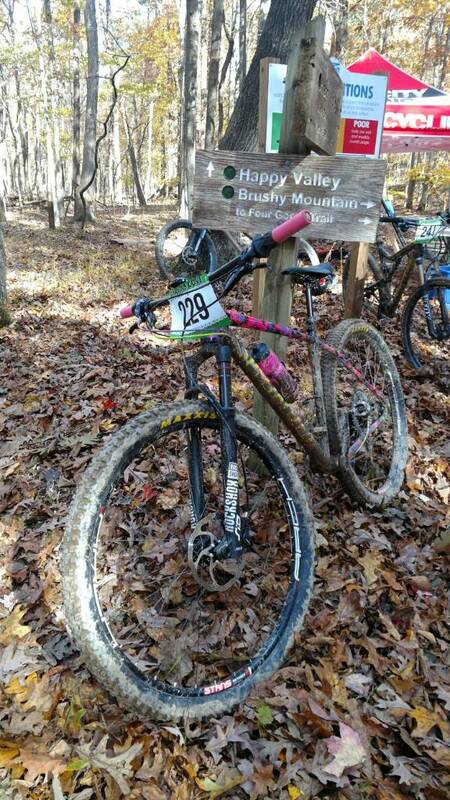 My wife picked up the women's Comp version of this bike yesterday. Weighed in at 27 pounds after tubeless conversion. The leg bone's connected to the Cash Bone! I picked up a 2018 Comp size M for a good price. The weight is 12.57 kg incl. inner barends and bottle cages. Compared with my former Carve (2013) it is both more agile and more compliant on descends. But I had a funny moment on my first run: the dust cap of the left dip tube came of with a plop and sat approx. 20 mm away from its place on the stand pipe. Never seen this before (in 19 years of biking). As you can see the list is short because Specialized made a great job in specification. There is not ineed to replace something instead of weight. Function is awesome! Last edited by talybont; 1 Day Ago at 11:44 PM. So got my replacement (warranty) RS Judy for my '19 X1. Sad to say the new fork is almost as sh*tty as the one it replaced. Feels just like the headset bearings are shot, annoying rattle through the bars whenever the fork is at full extension. I realize the X1 is a budget bike, but it's a shame such a nice bike comes with what appears to be a really low-end fork. 2014 Chisel fork on my 2013 RH Comp?